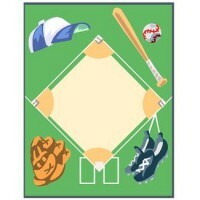 A Cozy Mystery site reader asked for me to get a Baseball Theme Mystery Books list together. Unfortunately, I don’t know how Cozy these mysteries are, since I haven’t read any of them. However, they are all set in the world of Baseball. If any of you know of some Cozy Mysteries that are set in the Baseball world, please post a comment. Thank you! There is also the enjoyable Nero Wolfe continuation mystery by Robert Goldsborough, MURDER IN THE BALL PARK. Archie Goodwin and Saul Panzer have ventured into the wilds of northern Manhattan to watch the Giants take on the Dodgers at the Polo Grounds. Robert Goldsborough does a good job writing in the style of Rex Stout. If you like Nero Wolfe and Archie Goodwin mysteries, you will like this. Ellen, thank you! I just added it to the baseball mysteries theme list. When Harlan Coban was first starting as a author he used to have a sports agent as his sleuth. Some of them were based around baseball. LaVerne, I remember the Myron Bolitar Mystery Series. I’ll go check and see which of them is based around baseball. Thank you! Hi Danna. This Baseball Mom loves this topic! I think I have a couple more to add. –Robert B Parker’s third Spenser for Hire “Mortal Stakes” is about the Boston Red Sox and a bit of blackmail. –Can’t tell from the description if “Big Leagues”, book 1 in the Cat McDaniel series by Jen Estes, is a cozy though one reviewer labels it as such. Cat is a sportswriter covering the Las Vegas Chips baseball team. –In the new Homicide in High Heels by Gemma Halliday (released in May) Maddie tries to solve the murder of an MVP’s girlfriend while dealing with a ‘Baseball Wives’ reality series. –For younger readers there’s the Ballpark Mysteries series (now at #9) by David A Kelly and for middle schoolers there’s Change Up: Mystery at the World Series by John Feinstein. Tomi, thank you, thank you, thank you! I have just added all of these Baseball Theme mysteries to the list. This Won’t Kill You – Rex Stout (A novella – part of the collection “Three Men Out”). Players are drugged and a player is murdered during the final game of the World Series. This is an original Nero Wolfe and Archie Goodwin by their creator in his prime. Robert, thank you so much for adding Rex Stout’s This Won’t Kill You (found in Three Men Out) to this baseball theme! Tami, thank you so much for telling me about Garrison Allen’s Baseball Cat. I have added it to the Baseball theme list. More crime than cozy, but it might help fill out the theme a little. 🙂 : “Double Play” by Robert B. Parker. The story revolves around Joseph Burke, who is hired as bodyguard for Jackie Robinson, the first black Major League player.